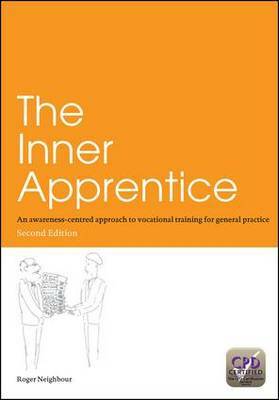 The first edition of The Inner Apprentice proved to be a landmark publication. Now in its second edition, it includes an additional chapter in which questions the assumptions about the relevance of awareness-based teaching in the overcrowded curriculum of contemporary vocational training - and suggests that the curiosity they engender is more important than ever. This book offers many new ideas, techniques and educational tools, and will be of interest to general practice trainers and trainees, and anyone involved in an individual teaching relationship. "The Inner Apprentice explores the role of the teacher in the learning process and demonstrates how changes in balance between teacher and learner can influence learning itself. The book draws on examples from the philosophers and legends of Ancient Greece, from the apprentice-masters of medieval Europe, from the fiction of modern literature, and films from the sportsmen of today to illuminate with clarity the philosophy and principles that can enhance the learning process. It introduces the concept of awareness-based teaching and shows how specific awareness-raising techniques can aid the way in which people learn."